Mozilla grabbed the world’s attention when it launched the Firefox Quantum browser last year. 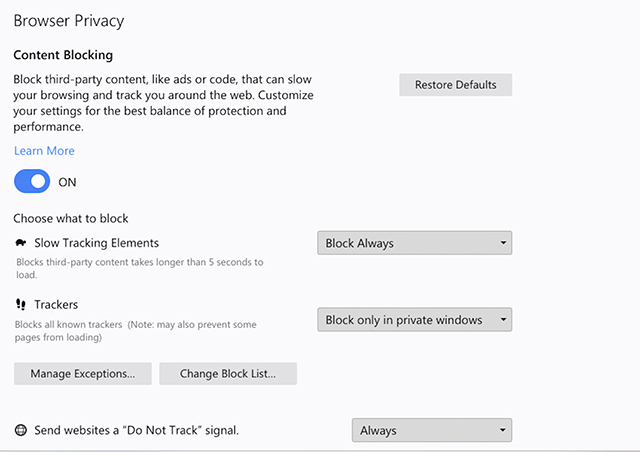 With the launch of a reworked Firefox, many features including Tracking Protection, earlier limited to In-Private mode, also graduated into the standard browsing mode. Now, Mozilla intends to grant its users greater control over specific blocks of content which might be tracking more information than users care to reveal, or those which might hinder or slow down browsing. The Content Blocking feature will be implemented with Firefox 63 which is expected to go live in October this year. This Content Blocking feature will be placed in the information panel for an individual website which can be accessed by clicking on the “i” next to the address bar. At the same time, the Tracking Protection in Firefox remains intact and users will be allowed to disable tracking for an individual website while the feature remains active globally. Alternatively, users will have more control over the feature in the Privacy preferences in Firefox. Here, users will be able to restrict the Content Blocking feature to private windows and even switch it off completely. The panel will allow users to manage exceptions as well as monitor and organize the block list. 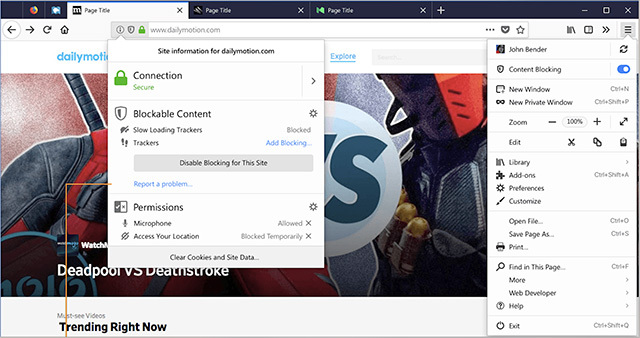 Besides the feature to block tracking, Firefox users will also receive an option to block content which takes too much time to load or uses too many resources. Meanwhile, the tracking protection feature will also get more diverse and users will have independent options to toggle tracking on or off for advertisements, analytics, fingerprints, social media, and even crypto-mining. At the same time, Mozilla is working to make the feature more easily discoverable and adding it to the address bar – just like Chrome – would make sense. 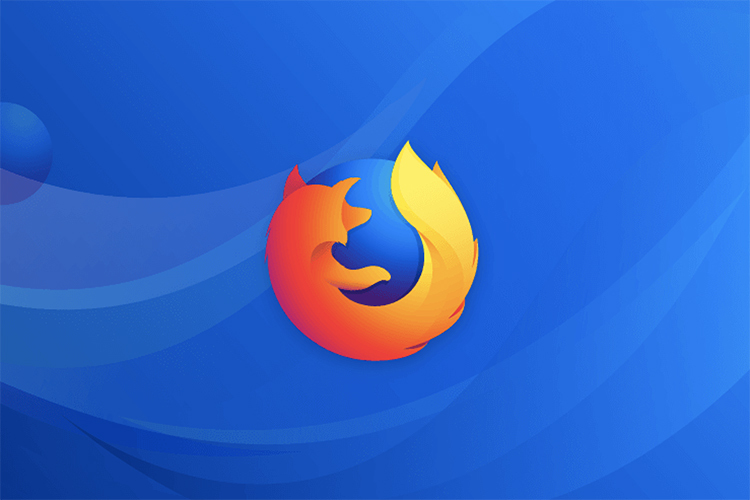 Together with selective content blocking, the feature should make browsing more efficient and make users feel much more in control with the launch of Firefox 63.